Last Thursday was the first meeting of my new Code Club at MLS. I had 12 fourth graders joining me (8 boys and 4 girls). They were really curious about me, Scratch, Code Club, making their own game, making a web site, rules, everything. 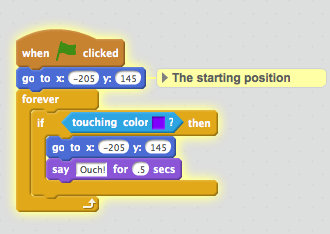 Their lab wasn’t set up with Scratch 2 so I introduced Scratch 1.4 and let them explore the program a bit. 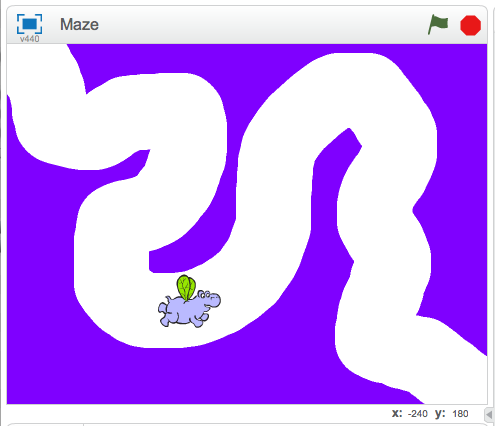 Then I had them try out the maze project. Success was mixed. A couple of students diligently followed the packet and ended up with working games. 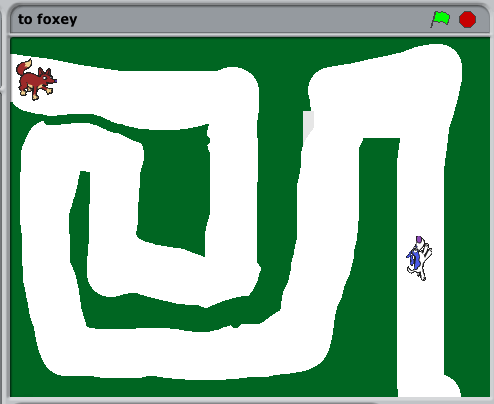 Example of a maze game. A couple of others got stuck and got off task. 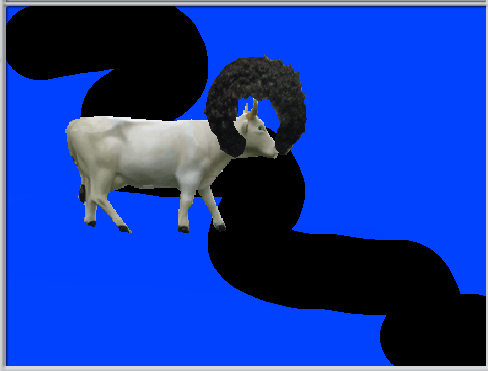 Did you know if you click the “add random Sprite” button a whole bunch of times you fill up the Stage pretty quickly? I’ve had a handful of students try this out this year at both schools. I can’t remember anyone doing that last year. Interesting. And a couple of others got partway through. They just needed more time but I let them free explore again at the end of the session and they were glad to get the chance. There is a different routine at this school and I’ll need to learn it just as much as the students will need to get to know me. Scratch 2 is now installed so next we’ll try “Felix and Herbert”. It’s both an introductory lesson and a game. 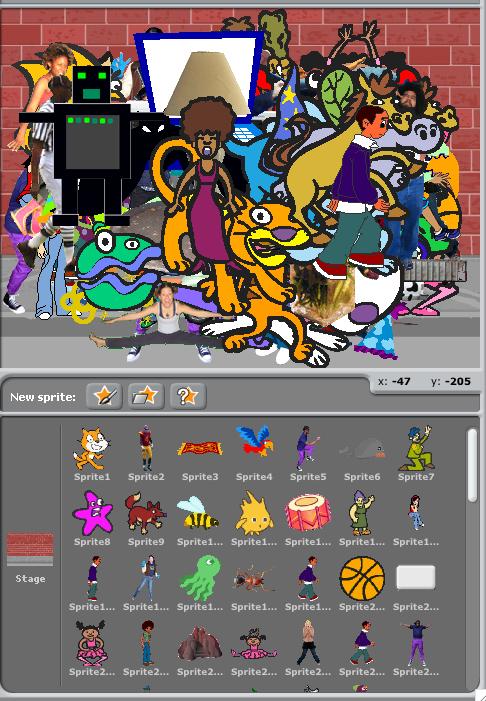 I used it last year but it is currently an archived project at Code Club World. Then both clubs will be back in sync and working on the same projects.